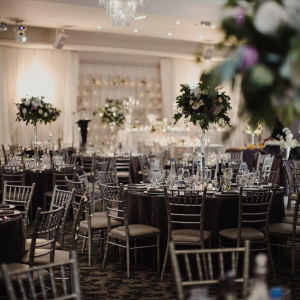 From small intimate affairs, to receptions of exceptional grandeur, each wedding at Parkview Manor is treated with the same commitment to food quality and service excellence. Our venue is equipped to host wedding receptions from 50 to 1000 guests. What sets us apart is our unwavering commitment to service excellence and communication with our clients. 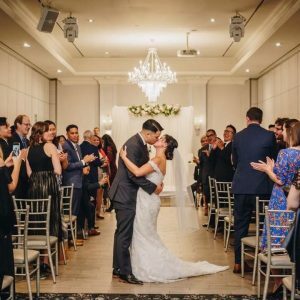 We recognize that each couple is unique and make it our top priority to listen carefully and plan thoroughly in order to help each client’s vision become a reality. 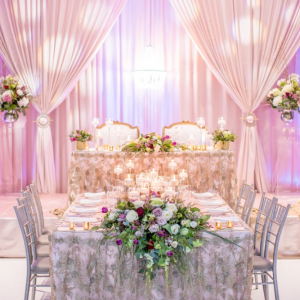 We take pride in guiding all of our clients through the event planning process from conceptualization to execution to ensure that each wedding’s distinctive details shine. Upon booking a wedding with us, your dedicated event specialist will be available to guide you through the rest of the planning process. We are always happy to provide our clients with recommendations and advice to ensure every detail of your wedding is exactly as you envisioned it. From floor plan development, to menu selection, to audio-visual specifications, your event specialist will guide you through every step of the way to ensure your day runs as smoothly as possible. We offer our couples full flexibility to work with any external vendors of their choice, but are also happy to provide recommendations from our selection of preferred vendors. On the day of your event, your event specialist will be present to ensure the day unfolds on schedule and according to plan, leaving you the opportunity to focus on enjoying your special day and the company of your guests. We understand the importance of working within your budget and providing recommendations and options that suit your needs. We are committed to providing the greatest value to our clients while helping them stay within budget. We sincerely love what we do and nothing makes us happier than making our clients feel the same way. Come meet with us for a no strings attached, no pressure meet and greet. We’re always happy to chat!